What goes on in the dark? 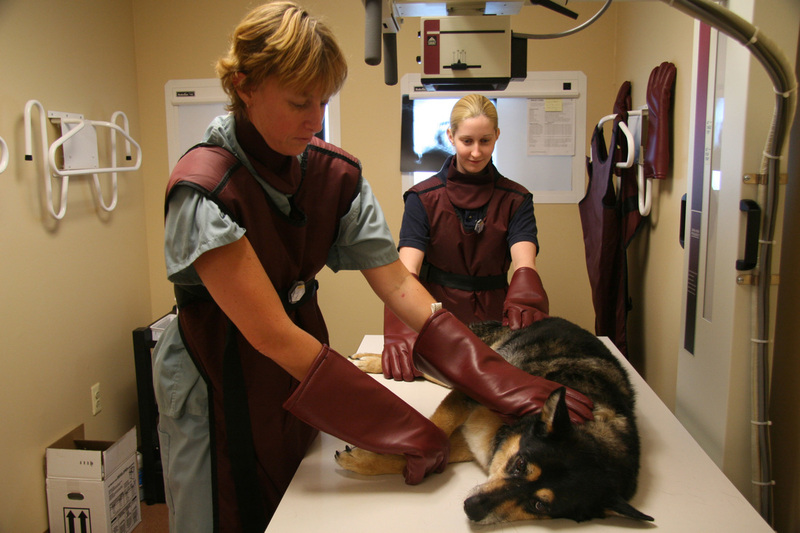 X-Rays (radiographs) are a very important diagnostic tool. They can be used to detect broken bones, arthritis, changes in organ size and shape, some tumors, fluid in the abdomen or chest, changes to heart size, bladder stones, and the number of puppies or kittens and animal is pregnant with. Our x-rays are digital! This allows us to review the results immediately with you in the exam room. We can also transmit images directly to specialists if the need arises. Most animals will lie quietly for x-rays. Some animals will not and they need short-acting sedation. Other times, the position an animal needs to lie in is awkward or they might have to hold very still for a longer period of time to get more detailed x-rays. These patients we also sedate. X-rays can tell us a lot, but sometimes other tests such as ultrasound or MRI are needed for different or more detailed information.